Inside Scoop: Homemade beauty recipes, the best food to put on your skin + 3 delicious skincare recipes. 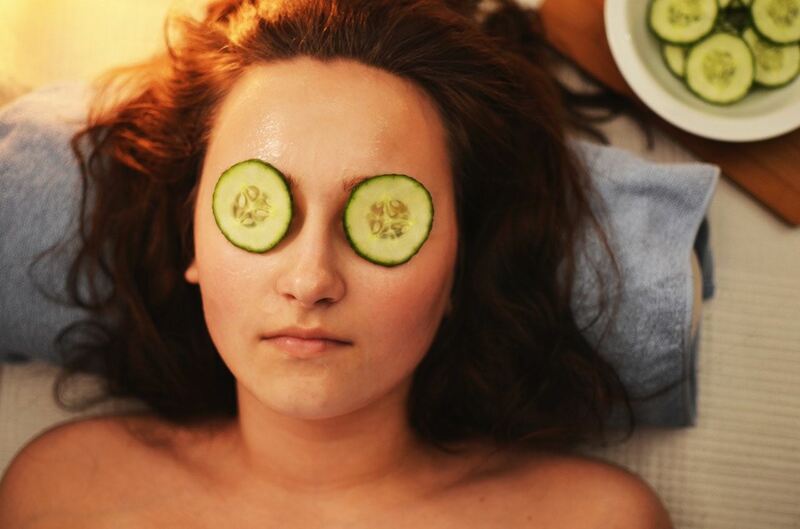 The first thing we tend to do when we’re trying to clear up our skin is pop into our local drug store, or skin care clinic and find something topical to put on. We will go lengths, and spend thousands to try and fix blemishes, get rid of dark circles, reduce redness, and create a glow. Often times this means finding products that are recommended, with no concern for what’s actually in the bottle, the only concern is whether or not it’s going to work. Trust us when we say, we get it. Skin care used to be a bit of a foreign concept to us. Unless you’re a medical aesthetician, understanding the ingredients that are in a blemish stick, or a facemask isn’t easy. You trust what’s been tried and true, and definitely trust what beauty experts recommend. We had no clue that in a lot of circumstances what we eat (or don’t eat) can also directly affect our skin. There are plenty of homemade beauty recipes and foods that are great for our skin sitting in our pantry, and hanging out in our refrigerators. Your skin has its own immune system, which consists of thousands of bacteria as a line of defense. Sometimes, when you experience issues like blemishes, redness, dark circles, extreme dryness or early ageing, it’s your body’s way of saying that a piece of the puzzle is missing. Your gut hosts a huge proportion of your immune system, so if there is a compromise there, it can become apparent on your body’s largest organ- your skin. Allergies, gut dysfunction, candida, pro-inflammatory foods, lack of adequate nutrition, auto-immune diseases, dehydration, among many other things can have a detrimental effect on your outer appearance. Being mindful of what you put on your skin and what you put in your body is incredibly important when it comes to creating an internal and external ecosystem that thrives and can support all the puzzle pieces that make up your skin. Truth of the matter is that we don’t really know what is going into most conventional personal care products, and the U.S. government doesn’t require health studies before allowing these ingredients to be put on the market. So, we also don’t know the negative health effects of a lot of these ingredients. In our humble opinion…. That’s a bit scary, and we’d rather put something more natural on our skin. This is precisely why we started looking into more natural brands, DIY beauty recipes, and really digging deep to figure out what foods are good for the skin, and what foods we should be minimizing to make sure our skin has the nutrition it deserves. 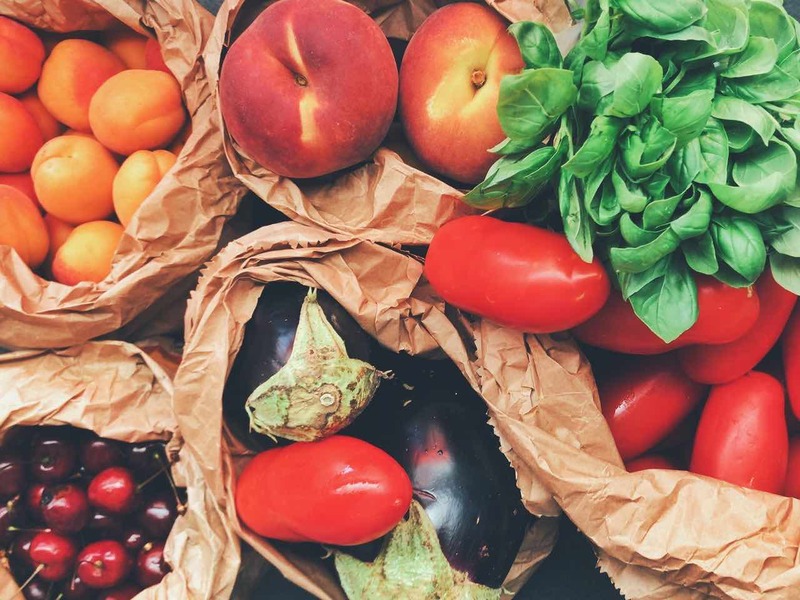 Before we enter the kitchen, we want to let you know that what your body is experiencing internally can often be mimicked externally, and there are some foods you should minimize or avoid if you’re prone to inflammation, or have skin issues. Check out our lists below, the best and worst foods for your skin. Alcohol is a hepatotoxin, meaning it’s toxic to the cells that detox your liver. Alcohol directly compromises your main detox organ’s ability to purge unwanted ingredients from the blood. Alcohol also dehydrates your skin, and may contain additives or added sugars, which can be pro-inflammatory. While, we definitely say it’s okay to have a couple drinks here and there, being mindful of how much you’re drinking will be beneficial for your overall skin health. These two foods made this list twice because they’re some of the biggest contributions to skin issues, and when removed, people may find their skin’s health is better. Studies have found that people who consumed dairy, and those who had higher sugar intake, and a high refined carb diet we’re more prone to skin conditions. 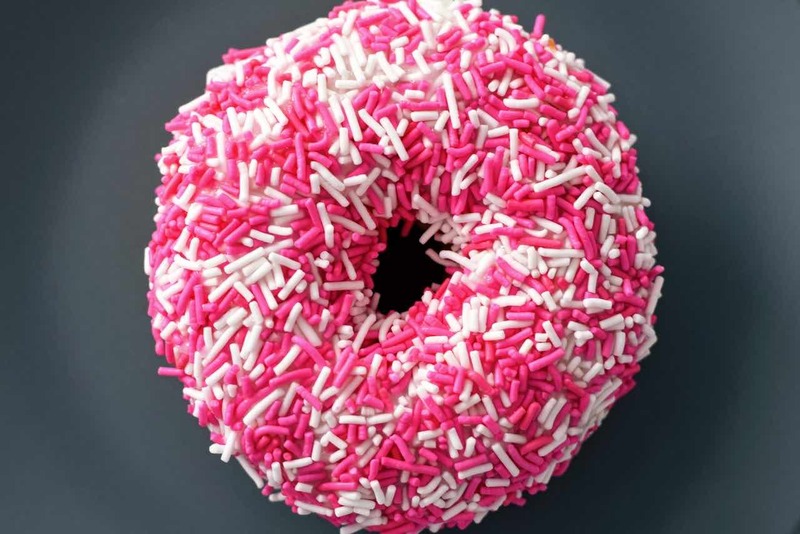 The link was that dairy and sugar both cause spikes in certain hormones (androgens and insulin) that can contribute to pimples. Will help combat systemic inflammation and help your immune system function optimally. A lot of these foods also help lower blood sugar levels and balance hormones. Honey is one of those foods that contains plenty of antioxidants, which helps reduce oxidative stress, and ultimately helps to control inflammation. Honey also naturally falls within the skin’s pH range, making it a wonderful tool (for topical use) to help heal the skin. It has antimicrobial properties, which help kill unwanted proliferated bacteria that breeds deep down in the pores. Mix raw honey in with granulated sugar and coconut oil and you have a homemade Natural Lip Scrub, you can get the recipe here. Topical use of oats for the skin can be traced back to 2000 B.C. when Egyptians used them for their soothing properties. The best way to use oats is to blend them into a fine powder in a food processor or blender, and mix with water. Popular for their cooling benefits, oats make a great option for rashes, burns, eczema or other irritants of the skin. Sensitive skin can also benefit from oats, due to a unique antioxidant compound called avenanthramides. Avenanthramides are known to reduce redness, inflammation and irritation. Oats are a great source of protein and fiber, and help to eliminate toxic waste. This is a double whammy food for creating homemade beauty recipes, as well as food to eat for skin health. A natural astringent, apple cider is said to make a wonderful toner. It helps to balance your complexion by restoring your skin’s natural pH balance. Used right it can be a gentle solution for problematic skin, for acne and age spots. It can absorb excess oils and reduce fine lines. Dilute with water so it’s not so harsh on the skin and use daily. This is one of mama earth’s most natural anti-inflammatory foods. Used medicinally for thousands of years to fight infections and improve digestion and liver health. Due to the anti-inflammatory and anti-oxidant properties of the active component in turmeric, curcumin, turmeric is a wonderful food to eat, and also makes a great food to use topically. It’s also said to help heal wounds, helps with rashes and eczema and when made into a paste can be used to minimize acne. Just remember that turmeric can stain skin so when applied topically it may take a wash or two to remove the colour. Essential oils are a grossly under rated way to improve the quality of your mind, body and soul. When diffused they help you relax, and when you have external issues they possess powerful properties to help you heal. Studies are starting to suggest that certain essential oils have anti-microbial, anti-inflammatory, anti-fungal and anti-bacterial properties, which can make them a great option for skin issues. Knowing what type of skin you have is key to using essential oils though, so research might be crucial before experimenting with them. Here is an example of some oils that work according to skin type. 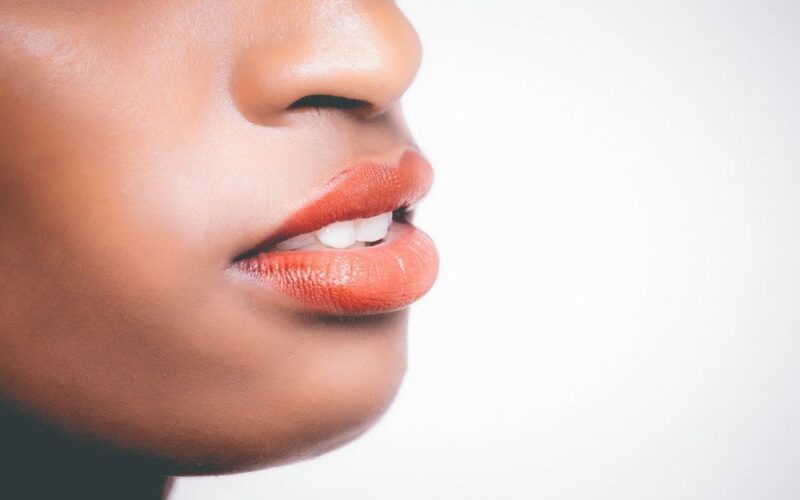 Relatively new and trendy concept, but studies have shown improved skin elasticity with the consumption or dietary supplementation of collagen. Collagen is one of the most abundant protein structures in the body that make up our connective tissue. It’s responsible for skin elasticity, strength in hair and holding everything in place. As we age, our natural collagen production depletes. Collagen is also said to support bone and joint health, hormone health, and, while more studies need to be done, there could possibly be a digestive health picture as well. While intake of collagen might not directly impact whether or not we break out, it certainly can benefit our overall complexion. 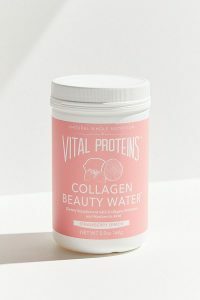 Our favourite collagen product is Vital Proteins Strawberry Lemonade Beauty Water, because it also contains beneficial ingredients for your skin, such as probiotics, and hyaluronic acid. For more information on the best supplements for your skin, make sure you download our 2018 Complete Supplement Guide where we dish out some of the top skin food supplements out there. Not properly hydrating can mess with your skin and your skin’s elasticity. Without proper hydration you may notice your skin is dry, cracked, peeling or more prone to redness and acne. As mentioned earlier, these are just some steps you can take in order to create a better internal and external ecosystem, naturally. Being properly hydrated, limiting pro-inflammatory foods, and increasing foods that promote healthier skin is a great place to start to get that glow going. But, it’s important to remember that there can be other underlying causes, such as hormonal imbalances, nutrient deficiencies and stress that can contribute to poor skin health, and it can take a while to find a plan that works for you. These 3 delightful, and delicious homemade beauty recipes are tried, tested, loved and are made with readily available ingredients that you probably already have in your pantry. Exfoliate 2 times per week at most. When ready to exfoliate: wet face, take a spoonful of mixture out with your fingers and rub in circular motion over face for 30 seconds. Apply to clean face and leave on for 15-20 minutes. There may be a yellow tint, so it is possible you need to wash your face a few times to remove it. Get a spray container and mix 1/3-part vinegar to 2/3-part filtered water. Shake and spray on cotton pad to use in a circular motion on face. Use after cleansing. If it’s too strong dilute further to a ratio of 1:4 or 1:5 vinegar to water. Love this article! These are the best foods for caring skin. I like this article so much. Thanks for sharing. Thank you! It’s not always easy to know what we should be doing for our skin, but going natural is a great place to start.